Ted Manderfeld and Dave Charles Eichholz are the Minnesota natives that make up Deuces Wild! 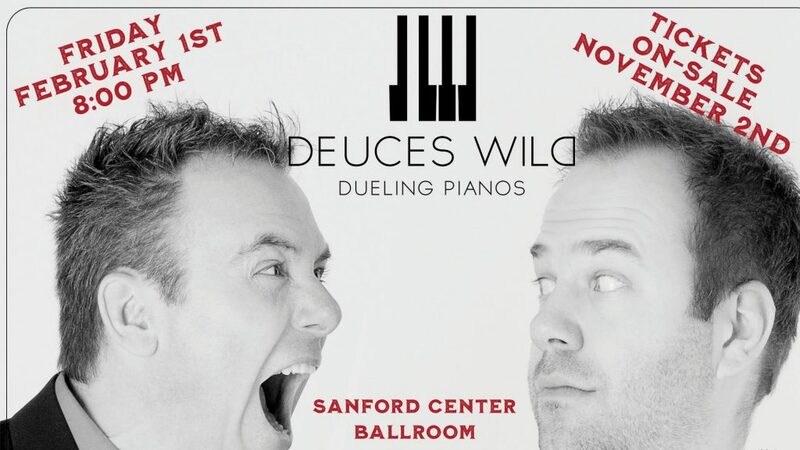 Dueling Pianos. This duo sings, plays several instruments, is comedic and really knows how to entertain and get the audience involved. On their 17th year of a non-ending tour this duo is high energy and thrives on audience participation. You’ll be amazed by their full bodied range of music and genres, and entertained to no end by a duo that’s been acting crazy together for over seventeen years. Suitable for all ages, you are sure to have the time of your life. Check out Deuces Wild! website, Michael Shynes website, and purchase your tickets.